Dental crowns are a common restoration used to protect a tooth that has suffered an injury. Maybe you cracked a tooth on a kernel of popcorn, or an infection in the pulp of your tooth required you to have a root canal. In either situation, the tooth is vulnerable to further breakage, and that would mean pain, or possibly losing the tooth altogether. A crown sits fully over the tooth and buffers the pressure that occurs when you chew. There are several materials from which a crown may be made, and we work with our patients to choose a crown that will perform for several years. Still, a crown can also be damaged, just like your natural tooth. Here, we will discuss a few of the common ways damage may occur, and how you can lower your risk. Some accidents simply cannot be avoided. However, it is good to prevent those you can. Sports injuries are one of the common culprits of damage to a tooth or a crown. If you play sports, wear a mouth guard that is custom-fit to your teeth. The foods that you chew present a small risk to your crowns. Just as that popcorn kernel cracked your natural tooth, it could cause damage to a crown. 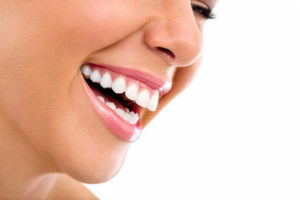 One of the little-known risks to crowns is food getting stuck between the crowned tooth and the adjacent tooth. Picking food out with a toothpick seems logical, but it could loosen the crown. Floss is a safer alternative. Of course, your crown will experience the normal wear and tear that your natural teeth do. Like natural teeth, a crown may be worn down prematurely if you regularly chew on your nails, ice, or other hard objects. Also, crowns wear too quickly if you clench and grind your teeth. You may not know that you do this because the habit often happens when you sleep. Talk with your dentist about how to spot grinding and clenching, called bruxism so that you can protect your restorations – and your natural teeth! No crown is full-proof regarding damage prevention. However, there are certain materials that have shown exceptional qualities, such as gold. We are here to provide you with the details you need to know to choose the crown that will best suit your needs. Call Ridgeview Family Dental at 660-747-9117.